… With the presence of Fidel Castro. And that tells us all we need to know about them too. The simple truth is that Fidel Castro was a monster. Like many other dictators, Castro adopted the language of communism and socialism as a mask to hide his true nature. His sole goal was to take and hold power as long as possible – everything he did, in Cuba, was designed to uphold his primacy. He enriched himself and his inner circle, while countless innocent civilians starved to death or risked their lives to flee an island that, like so many other dictatorships, could justly be called a prison camp above ground and a mass grave below. Under Castro, Cuba became a police state where people could be locked up for daring to speak out against the regime, an island now divided between two economies – one for the rich foreign tourists and one for the rest of the population. Castro’s crimes and atrocities – some call them excesses – are often excused by his worshippers, few of whom have ever lived under tyranny or seen the real Cuba. To them, Castro’s credentials – leader of a successful socialist uprising, defeater of a right-wing dictatorship, crusher of multiple (and farcical) US attempts to assassinate him and overthrow his regime – provide all the burnishing his narrative needs. No reasonable person can possibly believe that Castro’s savage repression of his own people, even after the end of the Cold War, was justified. Unlike other post-WW2 dictatorships – South Korea, Taiwan – Cuba was never allowed to develop a free market economy. Instead, Castro doubled down on failure, creating a hellish nightmare for his subjects. And subjects they were, because none of them were ever offered a choice. One may argue that Cuba’s internal affairs are Cuba’s own business. But Castro was not content to remain within his borders. Cuban fingerprints can be found across the world, from troops in Africa fighting pointless wars to support for Castro’s fellow socialist regime in Venezuela (now suffering social collapse as the impact of socialism becomes unavoidable) and, worst of all, the Cuban Missile Crisis. Castro played a major role in laying the groundwork for nuclear war, a war that would have claimed Cuba as its first victim. It would not have been the last. Nor did Castro have the sense to back down when it became clear that matters had gotten out of hand. His brinkmanship nearly took the world to war. Indeed, the well-being of his own people was always low on his list of priorities. Much has been made about Cuba’s health service, but Cuba has dispatched vast numbers of doctors overseas (thus creating a shortage back home) and refused to fund proper supply and procurement systems. Simple items like aspirin are like gold, to the average Cuban … if, of course, they can find them. 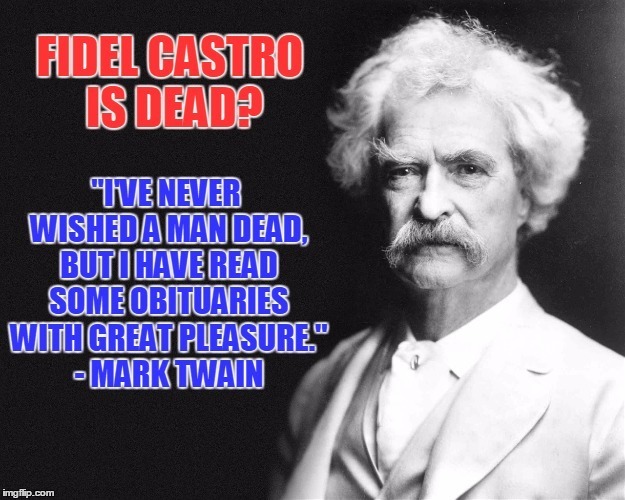 Castro was no George Washington or Nelson Mandela. Both of them chose to leave power, even though they might have been able to keep it for far longer; both of them, although flawed, chose to work for the good of their people. Castro, by contrast, was solely concerned with himself. There was no attempt to draw in talented newcomers, let alone start a gradual shift to democracy. Instead, Castro remained firmly in power until ill-health finally took its toll. About the only good thing that can be said about Castro is that he allowed a transfer of power – onto healthier shoulders, at least – before his final meeting with death. This was not inevitable. A true patriot could have accomplished much, first by developing the rule of law and then allowing the growth of a genuine middle class. Cuba has remarkable potential, far more than just a tourist spot in the middle of the Caribbean. And yet, Castro was unwilling to accept the threat to his power this would have – inevitably – caused. Given a chance to turn Cuba into a shining star, Castro chose – instead – to go for nightmare. And he was hellishly successful. I would not care to utter any predictions about Cuba’s future, now that Castro is gone. His brother – the sitting president – is unlikely to rock the boat, despite Barrack Obama’s pathetic attempts to burnish his legacy by reaching out to Cuba. Such regimes are often prisons for the wealthy and powerful as well as the peasants in the fields. But Cubans are no less intelligent than any other nationality. The discrepancies between what they’re being told and the truth in front of their eyes are glaringly obvious. How long will it be before Cuba collapses into civil war? Castro’s legacy, therefore, is a ticking time bomb a mere three hundred miles from the United States. But his legions of fans and admirers are not the ones who will have to deal with the problems, nor are they the ones who will starve (or be raped or killed) when the country finally falls apart. They will go on believing Castro’s lies even as utter darkness falls across his country. For many, death comes too soon; for Castro, it came too late. First, I’m on CH29 of The Sergeant’s Apprentice. I’m hoping to finish the first draft by Friday, barring accidents. I’ve got a long list of suggested changes and edits from the betas to fumble though, so I think the manuscript should be in the publisher’s hands by Tuesday 29th. After that, there will be at least one major edit, but hopefully the e-book will be out soon. I’m actually torn about the next few books in the series. Book 12 – The Fists of Justice – will deal with the fallout from TSA, but I’m not sure if there will be a book set during her summer vacation between 5th and 6th year. I have a vague idea that 6th year will be a second set of paired books – Poison Pen and Graduation Day – but a lot depends on how things shake out over the summer. I may wind up inserting The Pen and the Sword between Poison Pen and Graduation Day. However, as my rough plot notes for Pen and Sword end badly, there will have to be a move to [Classified] too. After that, we have Mirror Image and The Artful Apprentice. We shall see. 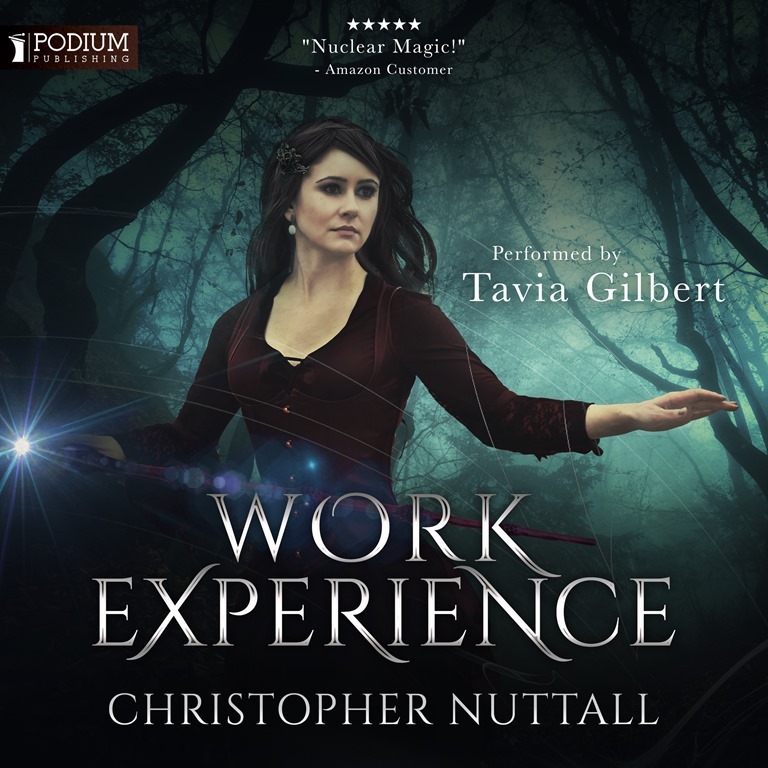 On a different note, the audio version of Work Experience should be available on audible from 6th December. (Pre-order will be mentioned on the Facebook page as soon as it’s up.) If things go according to plan, there should be a book a month after that until the whole series (as it stands) is up, but the schedule may slip. Thank you for reading <grin>. It has been just under two weeks since the world woke up to President-Elect Donald Trump. In short, a great many people have behaved like children. This is dangerously counter-productive. Peaceful protest is a time-honoured American (and Western) right. Violent protests, on the other hand, make the vast silent majority cry out for heavy repression. No one can claim the moral high ground when they’re screaming insults and threats, beating up dissidents, burning and looting and generally remaining everyone of why they voted for Trump in the first place. In the long term … how can these people possibly be trusted to handle their own affairs, let alone govern a country? There is no such thing, in the real world, as a prize for participation. There will always be winners and losers. And in politics, you win by convincing the majority of people in each state to support you. You have to convince them that it is in their best interests to support you, not that they’re somehow obliged to support you or that you’ll blackmail them (emotionally or physically) into supporting you. The latter two breed resentment. No one is entitled to win – no one, not even Hillary Clinton, is inevitable. You want to win – you have to earn it. If you cannot handle losing, how the hell are you going to handle the real world? Politics – American and European – have steadily become poisonous. And part of the reason they’ve become poisonous is that both sides have steadily become convinced that the other side is the personification of evil. And that anything is justified because the cause, the defeat of evil, is right. Individuals vanish without trace in the fog of social justice, where the details are forgotten or twisted in service to the narrative. And now there are elements of the Right that want to pay the Left back in their own coin. Why should they not? I could argue – and I will – that we should not sink to their level. But a right-winger could easily counter my argument by pointing out that such treatment deserves retaliation, that we should give the Left a taste of the punishment they’ve meted out. And, in the increasing tribalisation of politics, he may have a point. If identity politics can be used to blame right-wingers for everything done by other right-wingers, why can’t they be used to blame left-wingers for everything done by other left-wingers? Live by identity politics, die by identity politics. The core of the problem remains, as I have said before, that the elites and their supporters – the media, etc – have lost touch with the real world. And it is that problem, more than anything else, that needs to be fixed. But I fear it is beyond them. The irony of the problems facing the Republican Party and the Democratic Party is that both parties are facing essentially the same problem. Both party elites attempted to put forward candidates chosen by them, as opposed to the rank and file. The Republicans pushed Jeb Bush, hoping he would be the third Bush to serve as POTUS; the Democrats pushed Hillary Clinton, after the Clintons effectively sewed up the nomination process. Both party-preferred candidates faced heavy resistance from the rank-and-file. The Republicans had little reason to love Jeb or the handful of other establishment candidates, particularly as both George HW Bush and George W Bush were widely disliked. The Democrats, too, had little reason to love Hillary Clinton. Her history was dubious at best, while she had a reputation for being a flip-flopper. And so both candidates were challenged, by Donald Trump and Bernie Sanders. Perversely, despite all the hyperbole about Donald Trump breaking the Republican Party, I think there is a good argument to be made that he fixed it. Trump never enjoyed the support of the elites (who chose to effectively commit treason, given that they were supposed to support the nominee) but he did have the support of the rank and file. Trump, for better or worse, reflected the desire of the rank and file for a plain-speaking candidate who would defy the elites and actually win. The elites recoiled in horror because the idea that anyone would find Trump appealing was unthinkable to them. But the rank-and-file showed its power by nominating Trump. Pretend, for the sake of argument, that the entire command crew of USS Nimitz were summarily sacked. Would this actually put the giant supercarrier out of service permanently? Of course not – a new command crew would be appointed and the carrier would head back out to sea, rapidly overcoming teething troubles as the new crew learned the ropes. And, just like the carrier, the Republican Party will survive. It does not need the elites to survive. By contrast, there is a very strong possibility that Hillary and Obama wrecked the Democratic Party. We do not know if Hillary would have won the nomination fairly. We do know she rigged it in her favour. The DNC was effectively an arm of the Clinton Campaign. Reasonable candidates for the nomination were edged aside, leaving an outsider – Bernie Sanders – as the sole opposition candidate. And he was sabotaged by the DNC. And so the levels of shattering distrust between the elites and the rank-and-file have risen sharply. How many voters stayed home because they couldn’t bear the thought of voting for a cheat? On the micro scale, the DNC should never have even considered Hillary a potential candidate. She had too much baggage. But on the macro scale, the Democratic Party is in serious trouble. It’s leaders are, if anything, more isolated from the common herd than the RNC. They assumed, arrogantly, that minority groups within the US would continue to provide mindless support. But such support was no longer forthcoming. If the living conditions of black Americans, for example, failed to improve after eight years of a black president – and democratic control of majority black areas – why should black Americans trust the Democrats? And now, the Democratic Party is facing a major crisis. The system failed – it didn’t just fail, it was deliberately broken. It would have been problematic even if Hillary won – which would have provided minimal justification for stealing the nomination – but she lost. Now, the DNC needs to come to terms with its problems in order to face the future. And it is doing this after the Republicans won a crushing victory. The rank-and-file needs to kick out the elites and reassert control. But that isn’t going to be easy. The implications of President Trump will not be contained within America’s borders, even if Trump does build a wall. And I suspect that, whatever they may say openly, a great many foreign leaders are relieved. Hillary Clinton was a deeply suspect nominee from the start, a woman of terrifying incompetence and zero credibility mixed with a complete disregard for the optics (let alone anything else). The prospect of Hillary accidentally – or deliberately – starting a war with Russia could not be overlooked. If nothing else, there will probably be a pause in the endless geopolitical power game as Trump takes office. Hillary could reasonably be assumed to be following in Obama’s footsteps, but Trump is a different issue. There will be an opportunity for the US and Russia to strike a deal that will please neither side, but one that both sides will find tolerable (and certainly preferable to a war with an uncertain outcome). And this will also be true elsewhere. Trump may recommit American power to defending Saudi Arabia, but also demand concessions in exchange. (The Saudis are still fuelling extremism and this has to be stopped.) Indeed, in many ways, the sense that Trump is irrational works in his favour, at least in his early days. One does not poke the rabid dog. And yet, President Trump raises other concerns. European powers have been skimping on their defence contributions, despite a treaty obligation to spend at least 2% of their GNP on defence. In 2015, only Britain, Poland and the US met those treaty obligations. Trump has a point, as little as Europeans might want to admit it, about free-riders. This is not 1945. The European powers, if they want to be secure, can afford to spend more money on their own defence. Why should the US pay? And why should American boys and girls be sent to defend Berlin when Germany is unwilling to defend itself? This actually has deeper implications. The US, for better or worse, is a proactive force on the world stage. Europe often feels differently. Can one reasonably expect the US to put up with absurd rules of engagement? Or outright sabotage – the Italians were accused of bribing Taliban insurgents, for example. Or sanctimonious speeches from politicians safely isolated from global politics? Or uncontrolled immigration that destabilises politics and may spread to the US? At what point does the US conclude that the protectorates have a choice between shutting up and doing as they’re told … or being shoved back into the cold and ordered to look after themselves? The real question is how this will play out over the next few months. Trump’s rise is the sign of a populist uprising against the elites, but it isn’t the only one. BREXIT happened, at least in part, because the elites made the fatal mistake of convincing the voters that they didn’t give a damn about them. The rise of other right-wing parties across Europe is another sign – on matters ranging from the economy to immigration, voters have come to believe that the elites just don’t care. Angela Merkel’s letter to Donald Trump, I suspect, pushed many buttons … and not in a good way. What respect has the elites shown for the safety, let alone the dignity, of their own citizens? The blunt truth is that the European Union is nothing more than a castle built on sand – and the tide is coming in. There’s no such thing as European unity. The idea of merging a dozen different nations, with very disparate economies, into one was absurd right from the start. No one should have been surprised by the disaster slowly tearing Greece and the other weaker economies apart. The political delusions of the elites led to disaster. Why should they be surprised, therefore, when their policies are rejected? Trump has an opportunity to re-establish links between the ‘rebel’ European states and the US. It is not an opportunity he should miss. There are three possibilities that should be borne in mind by all Americans, of whatever political views. First, Trump may be unable to push his proposed legislation into law. The Republican elite still maintains a great deal of influence … and they don’t want Trump to succeed. His success spells their doom. It is therefore possible that all of his proposals will die in committee and nothing will be done. Second, Trump may be seduced by the political elite. He would hardly be the first reformer to enter power and then be led astray. (Tony Blair, anyone?) His pro-change agenda may be quietly dropped and the current unsatisfactory situation will be allowed to continue. Third, the naysayers might be right and Trump genuinely is a fascist, with plans to establish a dictatorship. Or he will turn authoritarian – following precedents set by Bush and Obama – after the rest of the government blocks his reforms. I don’t think that’s remotely likely, but the possibility should be acknowledged. And even if none of these possibilities come to pass, his ability to be effective may be more limited than you suppose. The political revolt that led to the rise of Trump – and BREXIT, etc – must not be allowed to fade away. Westerners must strive to regain control of government, to bring the bureaucracy to heel and keep local control in their hands. The idea that someone in Washington can propose a ‘one size fits all’ policy for the entire USA has proven disastrous, just as the same problem has torn Europe apart. Political power must be devolved as far down the line as possible, allowing maximum input from those who have to live under it. Common sense must be allowed to dominate. Change – real change – needs a grassroots movement that won’t give up, even when the odds seem hopeless. The elites may have good intentions. But any organisation, as Jerry Pournelle noted, eventually becomes dominated by people more intent on bolstering their own power rather than the overall goals of the organisation. A sufficiently large organisation will effectively go to war with itself – witness the rise of obnoxious HR departments – as its people forget their true purpose. The RNC and DNC became dominated by people more interested in their own power and position – the Cuckservatives, in particular – and lost sight of their true goals. This is not the beginning of the end, to quote Churchill. This is merely the end of the beginning. I’d like to close this essay – and hopefully this series – with a rather droll observation – and a warning. Reality has a conservative bias. I say ‘conservative’ instead of ‘right-wing’ because there are people on the right who are just as prone to absurd flights of fantasy as people on the left. The only real difference, at base, between fascism and communism is the lies told to maintain the elite in power. And both sides tell so many lies that they eventually start to believe them. Their rulers become deluded into believing that they can change reality with the stroke of a pen. You can get a credit card, if you like, and defer payment for months or years. Or you can take out a loan (for education, perhaps) secure in the knowledge you won’t have to pay it back at once. I recall students who did just that, back when I was in university. They lived high, spending their student loan as though the money would never run out. But debt will eventually catch up with you. One day, your creditors will arrive to repossess everything you own. And that will be that. There’s no such thing as a free lunch. The safety and security enjoyed by the vast majority of westerners depends on both a solid defence and the rule of law. Both have been grievously weakened, by politicians who believe the good times will never end and ‘social justice warriors’ more concerned with appearance than reality. As our laws become warped and twisted, with different levels of justice offered to different people, trust in society weakens and breaks. People voted for Donald Trump and Bernie Saunders because they were outsider candidates, when they could no longer trust the elites. The core problem facing the Left is that many of its ideas sound good – and sometimes they are good – but they don’t know when to stop. Political correctness started out as an attempt to convince people to be polite. But it has become a mania for policing speech, when anything can be deemed offensive … in a world where the rules keep changing. How can anyone listen to politicians trying to explain away the latest terrorist atrocity and not feel disgust. The truth – that all decent people, including many Muslims, are at war with Radical Islam – is undeniable. And yet most politicians are unwilling to even consider whispering the truth. It gets worse. Good intentions lead to hell … for other people. Affirmative action taints everyone who benefits … and those who didn’t benefit, but fit the favoured demographic; well-intentioned bids to forbid employers from checking criminal records lead to increased unemployment among black males, who are disproportionally likely to have criminal records … and so on and so on. Is it any surprise, therefore, that Donald Trump’s pledge to drain the swamp proved so popular? The Left – and the Right is often guilty of this too – does not attempt to win arguments by reason. Instead, it appeals to emotion; the sense of doing good or the fear of being publically shamed by being called a racist, sexist or worse. One may have free speech, as long as one mouths politically-correct platitudes; one may have tolerance, as long as one is part of a favoured demographic. The hierarchy of victimhood breeds nothing, but utter contempt from the average person. And so does the crap spewed out about every right-wing politician over the last fifty years. Indeed, if Donald Trump is a fascist, he owes his rise to the media crying ‘racist fascist bigot’ at every GOP candidate. They’ve cried wolf so often that no one believes them any longer. The rule of law – that the guilty must be proven guilty – is forgotten. And now many – many – people on the right want to retaliate in kind. And so we have the warning, a quote that has always lingered in my mind. It’s a bad idea to dismantle something purely because its inconvenient. You never know when you might need it. The next few months are going to be very interesting indeed. Over the last week, the question has been asked time and time again. How did Donald Trump win? And the answers range from embarrassed to condescending. American voters, we have been told, are too stupid to understand their own best interests. No, American voters are racist sexist bigots too thick-headed to appreciate what Hillary Clinton and the Democrats have done to them. It was the FBI’s fault! No, it was Obama’s fault! Trump won because Americans are scared of strong women. And so on and so on. And let’s face it. Most of these answers are utter nonsense. With that in mind, why did Trump win? First, Hillary Clinton was an appallingly bad candidate. Quite apart from the reasons I discussed earlier, Hillary was a very poor choice. She stole the nomination, she was the establishment candidate, she had the media and Hollywood stars on her side, she was openly contemptuous of the ‘deplorables’, she was allowed to get away with some very serious offences, the idea that she was the ‘feminist’ candidate is laughable … she was, in short, utterly unlikable. Hillary Clinton beat Donald Trump everywhere except where it mattered. In short, given an election they should have won easily, the Democrats messed up. Second, Donald Trump was not actually a bad candidate. His political instincts were far superior to his opponents. He won the nomination battle fairly (unlike Clinton) and commanded respect, if not liking, from many other Republicans. He put his finger on many problems facing the country (something Hillary could not or would not do) and promised to do something about them. And the media loathed him, which actually worked in his favour – the voters had heard too much crap about successive GOP candidates to believe the latest volley of absurdities from the media. In short, Trump had a whole series of advantages that played nicely against Hillary’s weaknesses. Third, and perhaps most important, Americans are fed up. I’ve mentioned many – many – of the reasons before. Political correctness, government overreach, lawlessness on the streets, illegal immigration … Donald Trump was the ‘hope and change’ candidate in a year where the entire country was crying out for a change. What could Hillary offer that compared to that? The underlying cause, I suspect, was the left’s focus on identity politics. To them, looking for ways to put people in neat little boxes, everything from the colour of your skin and your sexual identity was more important than your character. Their goal was, effectively, divide and rule. But, as I mentioned earlier, this approach suffered from two significant problems that were literally insurmountable. On one hand, the Left needed to balance the competing demands of different identities, somehow trying to be all things to all men; on the other, as various identities became mainstream, the Left would lose its grip on them. The horrified reaction – and the naked racism/sexism – hurled at black or female republicans is a reflection of the Left seeing its own doom. If minority groups can succeed without the Left, then how is the Left to survive? The result was inevitable. Straight white men, seeing themselves (rightly or wrongly) increasingly marginalised in their own country, were not going to vote for Hillary. But many black Americans, looking at the legacy of Barrack Obama, also regarded Hillary with suspicion and contempt. Women, too, had good reason to feel that Hillary was not a feminist icon. Hispanics who fought hard to earn the right to live in the United States weren’t keen on simply granting citizenship to every illegal who crossed the Rio Grande. And homosexuals, reeling after Orlando, realised that Hillary was not going to defend them. She couldn’t even bring herself to point the finger at terrorists! Donald Trump was elected because Americans were desperately crying out for a change. He was the only person who stood up and pointed his finger at the problem. And that great mass of frustrated and angry people, feeling that there was no escape from the growing power of the federal bureaucracy, heard his call. And so they made him President. … So why didn’t the media? The world did not end on Tuesday 8th. Not that you’d know it from some of the articles online. Or from the news media as it struggles to cope with the simple fact that bloggers – like me – called it for Trump while the MSM was so deeply involved with Clinton that it missed the significance of cultural change in the United States. To them, it’s the end of the world. People who have taken Trump’s victory badly fall into three categories. The Scolds have spent the last four days telling off America for daring to vote for Donald Trump. They are shaking their (hopefully metaphorical) fingers at Trump voters, calling them stupid or racist or homophobic … the old dirge that no one believes any longer. They cannot believe that they, the enlightened, could possibly have been wrong. And so they are blaming every last Trump voter rather than taking a good hard look in the mirror. They have been wrong so often that their opinions can be safely discounted. The Cry-babies have been moaning and whining and crying. Like children, they allowed their emotions to overload their reason; like children, they throw tantrums when they don’t get what they want and they don’t know how to cope with it. And, also like children, they clung to a simple narrative and ignored the shades of grey. Some of them have turned violent, reminding every reasonable adult why children are not allowed adult freedoms; others are seeking to recast themselves as the victims of the whole affair, rather than either spectators or guilty parties. Their refusal to engage their brains before putting their mouths in gear means that their opinions can be safely discounted. And then we have the Concerned. Many of my friends are Concerned. Some of them believe that Trump is inherently a bad man, a monster who will do monstrous things. Some of them believe that Trump will seek out military conflict, either because his feelings were hurt or because he may feel America has to make a stand as soon as possible. Some of them believe that Trump’s victory will unleash reactionary forces across America, that there will be an upswing in racism and sexism and general unpleasantness. And some of them believe that Trump is by no means qualified to be President. There are actually a number of very good reasons for believing that President Trump will not be a monster, neither the political reincarnation of Buchannan or Nixon. First, Trump won the nomination – and the election – because he tapped into the feelings of a great mass of people (mainly Republicans) who felt that they had been left behind by the changing nation. Those people have sensed their strength, even as Trump used them to crush his opponents and rise to win election. Those people will not respond well to any form of Trump betrayal. Conservatives, historically more suspicious of the growth in government power, will continue to retake power in the Republican Party – despite Trump, if necessary. I think the push to limit the power of the federal government will continue. Second, Trump will not have a free ride from either the Mainstream Media or the Alternate Media. The Mainstream Media, once it gets over its freak-out about Trump winning, will no doubt try to continue to undermine him. And while the alternate media will be more Trump-friendly, it will also be sceptical of the government, regardless of who is in the White House. Third, and ironically, society has changed. These are not the days of Jim Crow. The vast majority of Americans are tolerant of homosexuality, for example, even if they find it distasteful. One does not need approval, merely tolerance. Combined with a belief that the federal government should not be poking into people’s private lives, I don’t think homosexuals have much to fear from Trump’s America. The time when homosexuals could be subject to large scale discrimination, at least in America, is over. And this is true of many other groups. We may well see a much-deserved crackdown on Black Lives Matter, but I don’t think there will be a mass return to Jim Crow. Fourth, Trump has many admirable qualities. He has known failure, he has known opposition … and he has adapted, reacted and overcome. He can pick subordinates who know what they’re doing (one sign of a good manager). Trump is smart enough to reach out to potential partners, to understand their points of view and try to come up with a compromise they can live with. And he isn’t weak enough to back off the moment he is challenged, the moment someone calls his bluff. Trump will not give up. The news media was in the tank for Hillary Clinton. She had everything on her side. Could it be possible, just barely, that the impression they crafted of Donald Trump was just a teeny bit exaggerated? That they made mountains out of molehills? That their hysteria came from a desperate desire to anoint Hillary as the first female president rather than perform objective reporting? Not everyone will agree with this, of course. But it is food for thought. A little distraction from the election. A friend of mine pointed this out to me and it got me thinking. Peaceful co-existence between humans and vampires is vanishingly unlikely. The traditional vampires – even the ones from Twilight­ – are predators; humans are their prey. The idea that humans would tamely accept being turned into cattle is absurd. We would look for ways to fight, ways to take the battle to them. And vampires – outside Marty Sues – have weaknesses. Traditionally, vampires cannot go outside during the day. Nor can they go inside a building without an invitation. That limits their ability to find prey. (And if a single bite is enough to turn someone into a vampire, they’re going to be adding predators while lowering the amount of pray.) The average person would not open their doors after sunset if they thought there was a very real chance of being attacked. Maybe the average vampire is weak during the day or has to sleep. Does Holy Water kill Vampires? What happens if you fill water pistols with holy water? Can you bless a river or a lake? Or the seas? Can you water your garden with holy water and turn it into a minefield? Would a vampire explode if he stepped on it? What about water vapour? Traditionally, stakes kill vampires. What about toothpick-sized weapons? Could you have a gun that fired wooden bullets? What about sawdust? What is it about the traditional stake that kills vampires? Suggestion – wood reacts badly with the magic keeping the vampire alive. What about garlic? Does it have some chemical the vampire can’t stand? Vampires are supposed to be strong. How smart are they? Do they lose their intellect as they start to grow hungry. Are they stronger than the average SAS trooper? Are they smart enough to hunt in packs? How much blood do they need? Will a single human feed a dozen vampires or do they need one each? What must happen to turn a human into a vampire? A bite? A drain? Or what? Vampires are supposed to be able to influence people. What limits does the ability have? Can they control someone at long-distance or do they need eye contact? Can they implant suggestions? Will music or some other distraction cancel out their commands? Can they actually turn into mist or bats? If the former, what happens if they get caught in a fan? Or strong winds? Marie Antoinette is probably best known for saying ‘let them eat cake!’ (There is some dispute over if she actually said it.) And yet, as a noted SF writer pointed out, Marie Antoinette’s remark wasn’t quite as stupid as it seemed. Based on what she knew at the time – Marie Antoinette had no direct contact with the teeming mob – the remark actually makes sense. The price of bread was going up (because price controls made it impossible for bakers to actually bake) so why should the poor not eat cake? But to peasants who could no more afford cake than they could afford bread, the line seemed a cruel joke. Marie Antoinette brought many of her troubles on herself. Her mother – Marie Teresa – expected her to uphold Austrian interests, which caused her to clash with Frenchmen she really needed to conciliate. She fitted poorly into Versailles, making no attempt to fit in; she placed a touching faith in many who would seek to use her or betray her; she was on the fringes of a criminal investigation (yes, really); she was the victim of scurrilous libels and horrific accusations. Indeed, when she was put on trial after the revolution, the charges against her were largely outrageous. But, by then, she had become so unpopular – as a symbol of everything that was wrong with France – that her execution was a certainty. And yes, there is a distinct whiff of Marie Antoinette around Hillary Clinton. Marie Antoinette existed in a bubble. The closest she ever came to the peasants was living on her fake peasant village. She – and the remainder of the aristocracy in pre-revolutionary France – had no idea how bad things were becoming. Even when reality did break through the bubble, the aristocrats were dismissive. They considered the commoners to be lesser beings, subhuman creatures whose only purpose was to slave for their betters. Their attitudes made the slaveholders of Dixie look like paragons of morality. Hillary Clinton also existed in a bubble. She was protected from the consequences of her own actions. The media abandoned all pretence of neutrality and strove mightily to get her elected. But it never seemed to occur to Hillary that the world was changing. Nothing was forgotten. She might escape indictment by the FBI, but the alternate media made sure that everyone knew that she’d been let off. She hadn’t been innocent. Others, including genuine heroes, had been broken for far lesser offences. Everyone knew that Hillary Clinton had benefitted from a blatant double standard. Her greatest fans were also isolated from the common herd. Ordinary Americans rolled their eyes when deluded Hollywood stars threatened to leave the United States if Trump won the election. (Hands up anyone who believes that most of them will actually leave?) A person with a vast income is protected from the realities of the world in a way that most people can only envy. How can a Hollywood starlet understand the life of a man on minimum wage? The thing I have noticed about Americans is that they admire achievement. Americans adore people who achieve, from football players to … well, Donald Trump. There are people who detest Trump and yet admire his achievements. But Americans also despise nepotism, favouritism, affirmative action … anything that hampers meritocracy. Americans, at base, despise elites. And Hillary Clinton is the ultimate elitist. Bill Clinton, whatever else can be said about him, won election. Hillary Clinton merely rode on his coattails. To be fair to Hillary, the post of First Lady is an awkward one these days. It was expected, back when America won her independence, that a wife would support her husband. The First Ladies from Martha Washington onwards were expected to be society hostesses, not politicians in their own right. They might give advice, in private, but they didn’t wield power in their own right. The role of women in society might have changed over the last two hundred years, yet First Ladies – formally – remained society hostesses. They had no more formal role than Prince Charles. A woman as ambitious as Hillary Clinton would not find this a comfortable role. (Some society hostesses did manage to build up a power base behind the scenes, but that requires skills Hillary doesn’t seem to possess.) Indeed, she might well find it a humiliating role. These days, a woman is expected to have a job – staying at home and looking after the kids isn’t regarded so highly. Hillary cannot be blamed for seeking to expand the role, for trying to shape out a position for herself. But her attempts to declare herself a ‘co-president’ looked bad. She was attempting to claim power she had no right to have. Bill was the President. Hillary was merely his wife. I think this weakened Hillary, both as a professional politician and as a person. She had no direct experience of fighting a political campaign, or working her way up into a position of power. Her run for the senate was launched from a very safe Democratic state. Worse, because she had earned a bad reputation, she drew more and more hostile eyes. Her response to this was to try to control the flow of information, which made her even more suspicious in the eyes of ordinary Americans. Worst of all, she couldn’t get away from her husband. Bill’s reputation will overshadow hers for the rest of her life. Lacking her husband’s experience, Hillary’s attempts to gain support in 2008 and 2016 were clumsy. Obama beat her because – like Trump – he could and did speak to the nation in a way Hillary simply could not match. There is no way to gain this experience without actually doing it. Hillary never let her hair down and talked to the common people. And when Obama won election, he gave Hillary the Secretary of State post … again, she didn’t win it. And perhaps it should have surprised no one that her performance was disastrous. Hillary Clinton’s worst enemy was always Hillary Clinton. Scandal after scandal plagued her, each one weakening her still further. She had zero credibility even before she cheated her way into the nomination. The email scandal, the Clinton Foundation, her aides and their suspect links … Hillary, apparently convinced of her own entitlement, never sought to change course before it was too late. She preferred to lash out at her opponents rather than seek to understand them. Worse, she alienated many of her own voters. Why would blacks, or women, or homosexuals vote for Trump? Hillary offered them nothing, but words. Trump offered the prospect of change. Trump offered the prospect of defence. Clinton lost a great many homosexual voters, I suspect, after Orlando. She didn’t promise to protect them. She didn’t point her finger at the threat. Hillary Clinton did not lose because she was a woman. Hillary Clinton lost because she was Hillary Clinton. Hillary Clinton lost because she had a past that overshadowed her future; Hillary Clinton lost because her cover-ups were often worse than the crimes. Hillary Clinton lost because she had no connection with the average American. Hillary Clinton lost because she had no idea what made the ‘deplorables’ tick. I do not know Hillary personally. I will probably never meet her. All I have to go on is her public image, the impression created by her words and deeds. And, in the end, I found that impression repulsive. A woman who considered herself above the common herd, a woman who brought corruption to everything she touched, a woman profoundly unsuited to power on a global scale … Trump, for all of his flaws, seems a paragon of political skill compared to Hillary Clinton. Maybe this is a false impression. But it’s the one that stuck. 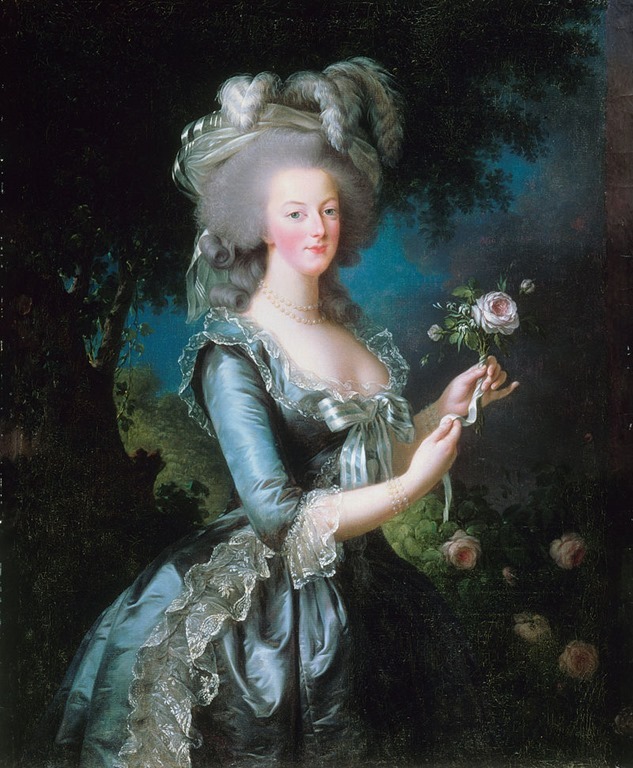 Marie Antoinette had very little control over her own life, even as Queen. Hillary Clinton had a great deal. A genuine patriot – or even someone devoted to the Democratic Party – would have stepped aside, clearing the way for someone with much less baggage. Instead, Hillary chose to fight it out and lost. … Merely offered more of the same.